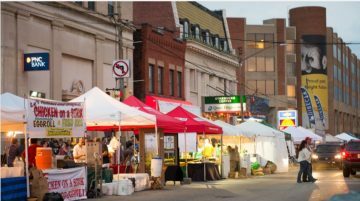 Bloomfield Development Corporation hosts open and public community meetings where residents can learn about project proposals directly from developers, ask questions, and express concerns. 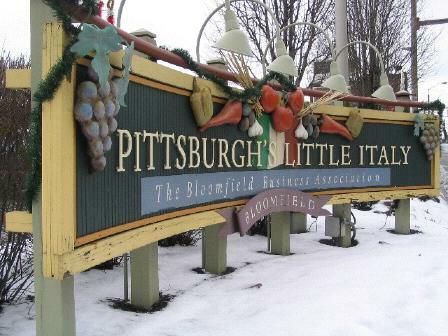 All are invited to attend the meeting on Wednesday, December 12th, 6:30PM at the Irma Freeman Center (5006 Penn Ave, Pittsburgh, PA 15224). The developer of 4433 Howley, Jason Lardo will present a proposal to renovate the current vacant commercial building to create office space as well as reactivate the attached parking lot on the site. Community Conversations & Potluck, 12/5! A night of conversation about our favorite neighborhood, Bloomfield! Bring a dish to share, and enjoy thinking about and giving feedback on different projects around Bloomfield. On Tuesday, October 16, at 6:00 pm, 26 neighbors gathered for a discussion of the West Penn Hospital Master Plan. Residents voiced concerns about issues such as parking and noise at the meeting. West Penn Hospital has scheduled an additional community meeting from 1:00 pm to 7:00 pm on Tuesday, November 27th, at the West Penn Nursing School. 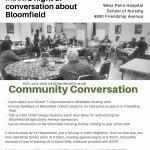 If you have any questions or comments that are not addressed in the notes below, feel free to reach out to info@bloomfieldpgh.org or call 412-681-8800. 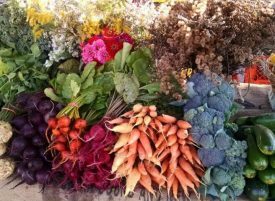 Community Conversations & Potluck, 10/22! 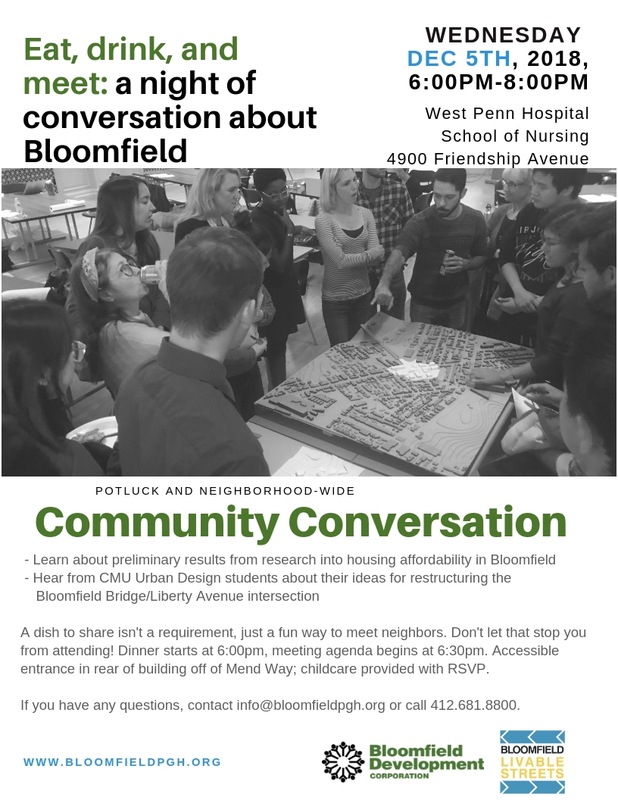 A night of conversation about our favorite neighborhood, Bloomfield! Bring a dish to share (or a bag of clementines, or nothing, just get there), and enjoy thinking about and giving feedback on different projects around Bloomfield. Accessible entrance located in the rear of the building off of Mend Way.